Dr. Cobbs is also a Certified Personal Trainer and Corrective Exercise Specialist through the National Academy of Sports Medicine (NASM). While attending De Anza College he worked at the S.M.A.R.T. (Sports Medicine Athletic Rehabilitation and Training ) Clinic in Cupertino, California as a Nautilus Fitness Instructor. His personal training experience includes working at the Courtside Club in Los Gatos, California, Silver Creek Valley Golf and Country Club in San Jose, California, and the San Jose Swim and Racquet Club in Willow Glen, California. Since moving to Bend with his wife, Dr. Pam Cobbs, and their three children, he ran the well known Freedom Wellness Center and their 8 Weeks to Wellness program. Dr. Cobbs would like to let you know that if you are living in pain, gaining weight, and coping with chronic health conditions you will be excited to know that there are simple and effective ways to reverse the course you are on and enjoy life again. 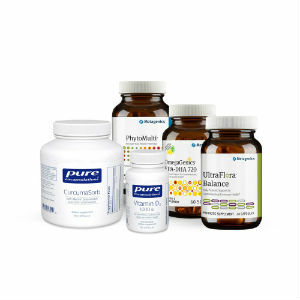 Feel better, lose weight, improve your body composition and lose the chronic conditions. There are natural, drug-free ways to increase the healing response your body possesses. He believes that getting healthy and staying healthy is vital to a happy and productive life. It requires that you take care of yourself. You must get adjusted regularly to keep the nervous system balanced and free of stress. You have to move everyday. Exercise is one of the best health promoting things an individual can do. Then you have to feed your body nourishing food that fuels your daily life. Dr. Cobbs wants to help you get into wellness. If health came from outside of us then those taking the most drugs would be the healthiest. The facts say otherwise. Health, like happiness comes from within. A healthy lifestyle is the best medicine. He looks forward to helping you express optimal health for a lifetime!